Our schools most recent Ofsted inspection took place in January 2017. To read the report click here. 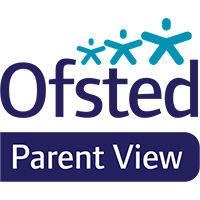 Parent View gives you the chance to tell Ofsted what you think about your child’s school and it replaces the questionnaire Ofsted would issue to parents prior to an inspection. This can now be accessed at anytime. It will ask your opinion on 12 aspects of your child’s school, from the quality of teaching to dealing with bullying and poor behaviour. Ofsted will use the information you provide when making decisions about which schools to inspect, and when.